Krete100® is an admixture to the concrete mixes to provide highest structural density of the matrix of cement rock with thickness of cementitious coatings from 8 mm to 35 mm or from 1/3” to 1 ¼”. Krete100® admixture is a development of KALMATRON® KF-A with enforced ability to hydrate cement with minimal amount of water. 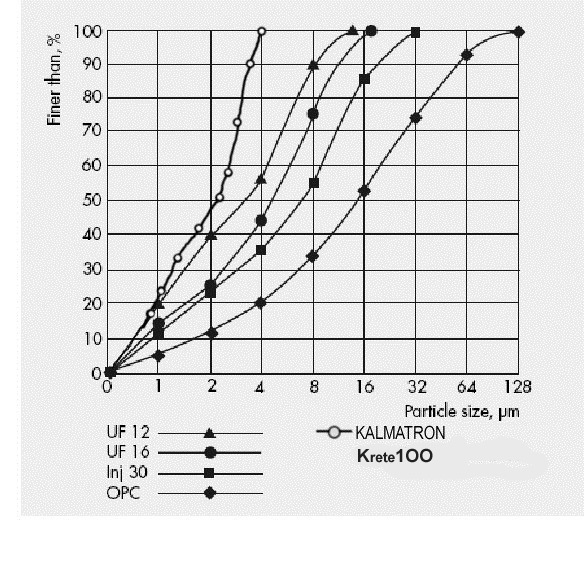 As it shown on “1”, the mesh size of OPC+Krete100 is at 6 µmm to 9 µmm with lowest exothermic emission. 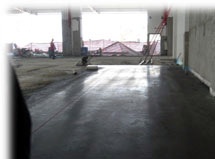 Krete100® is used in this unique mix design to get a relining layer at 3/4" or 18 mm thick on a concrete of loading dock “2” and parking lot “3”. 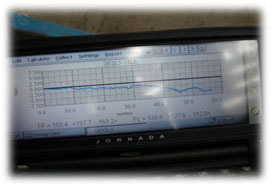 Actual application is simple as a spreading of fine concrete mix with pressing “4” to get thickness of layer between 8 and 35 mm, which controlled by automatic leveler “5” ;“6”. 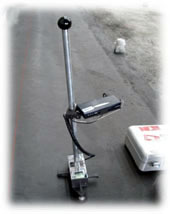 There are no shrinkage cracks and dilatation; no scaling and efflorescence, alkaline and acid resistance. Applied layer do not require to be cured and densyfied by the toppings. 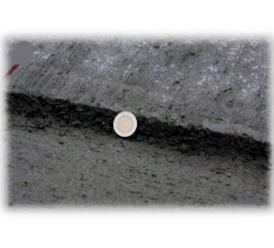 Essential property of concrete relining with Krete100® is it has lower mass per volume ratio than the standard concrete, but higher compressive and tensile strengths, abrasion, complete liquid and vapor impermeability and with both mechanical and chemical adhesion to any porous surface. 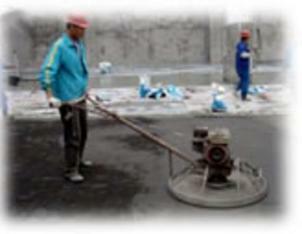 Very effective for relining of damaged or aged concrete structures and metal pipes. "It is first closest to the natural rock concrete petrographic features with all benefits of accomplished cement rock."